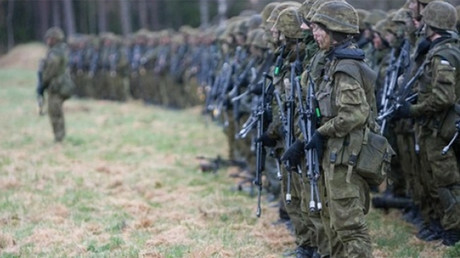 As the Baltic states, in concert with NATO, wraps up its previous cycle of military exercises close to Russia’s borders, the alliance has kicked off its so-called Saber Strike 17 drills in multiple locations throughout Estonia, Latvia, Lithuania and Poland. 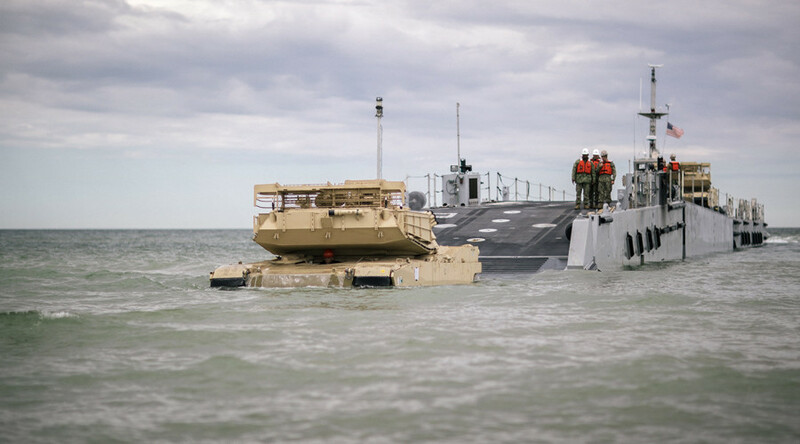 Now, all four newly created battle groups will take part in the 4-week-long drills (May 28-June 24), to strengthen cooperation amongst the United States military and 19 other nations taking part in the exercise. “The key exercise objective will be training and exercising the NATO Enhanced Forward Presence (EFP) Battle Groups with a focus on promoting interoperability with allies and regional partners and improving joint operational capability in a variety of missions,” the US army said in a statement. The large-scale exercise will include amphibious assault drills in Latvia, live fire exercises in Poland and Lithuania, and an air assault coupled with a river crossing by the British Royal Marines at the Poland-Lithuania border. The Saber Strike drills began the same week as some Baltic states wrapped up their previous military training with NATO allies. The squads of NATO soldiers performed drills using Polish PT-91 tanks, BMP-1 infantry fighting vehicles, US models of the Stryker armored personnel carriers and Russian-made Mi-24 military helicopters. This was the first joint exercise with the multinational NATO battalion which arrived at Orzysz in spring. Meanwhile, Estonia wrapped up the Spring Storm 2017, where almost 9,000 NATO troops participated. Soldiers from 15 states, including the host country took part in the drills that ended Friday. As was the case in Poland, the recently deployed multinational NATO battalion was deployed to the fighting range. US AH-64 Apache attack helicopters and UH-60 Black Hawk multi-role helicopters, as well as Estonian L-39 training jets and Robinson R-44 helicopters took part in the drills. Polish Soviet-era Su-22 fighters and Spanish F-18 Hornet jet fighters also had an opportunity to take to the skies. In another development, the NATO Maritime Group One (SNMG1), comprising the Norwegian frigate HNoMS Roald Amundsen and the Dutch frigate HNLMS Evertsen, arrived in Klaipeda, Lithuania on Friday for a scheduled port visit. “SNMG1 continues joint training with regional partners in the Baltic Sea. SNMG1 has already trained together with the Estonian, Latvian and Swedish naval ships and also plans to conduct maneuvers with Lithuania’s Navy's ships,” said Commodore Ole Morten Sandquist, the group commander of SNMG1. Russia has repeatedly criticized NATO’s military buildup along its borders as a threat to national security. In February, Russian President Vladimir Putin blamed NATO for provoking a conflict with Moscow and using its “newly-declared official mission to deter Russia” as a pretext.